NEW YORK (AP) — Robert M. Pirsig, whose philosophical novel “Zen and the Art of Motorcycle Maintenance” became a million-selling classic and cultural touchstone after more than 100 publishers turned it down, died Monday at age 88. Pirsig’s publishing house, William Morrow, announced that he died at his home in South Berwick, Maine. He had been in failing health. “Zen and the Art of Motorcycle Maintenance” was published in 1974 and was based on a motorcycle trip Pirsig took in the late 1960s with his 12-year-old son, Chris. Chris was killed by a mugger in 1979, and later editions of “Zen and the Art of Motorcycle Maintenance” would include an afterword about him. The author told The Guardian his son had not cared for the book. 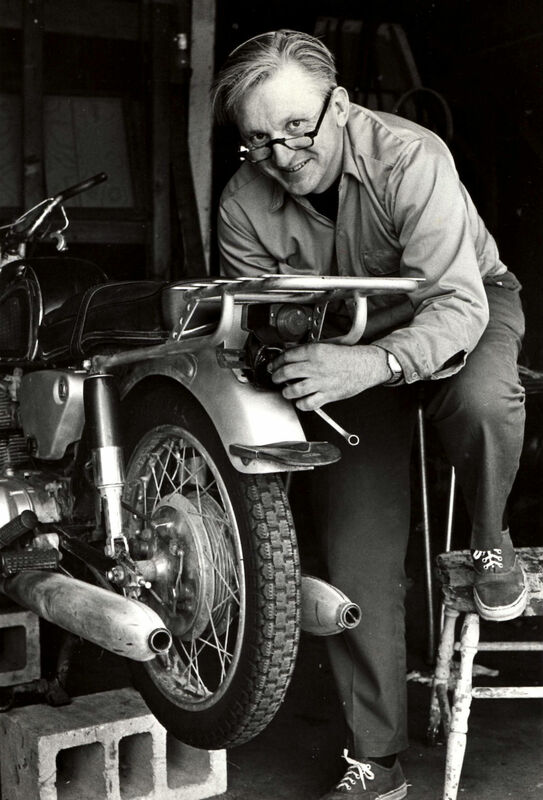 This 1975 image released by William Morrow shows author Robert M. Pirsig working on a motorcycle. Pirsig, whose novel “Zen and the Art of Motorcycle Maintenance” became a million-selling classic after more than 100 publishers turned it down, died at his home in South Berwick on Monday, April 24, 2017. He was 88.